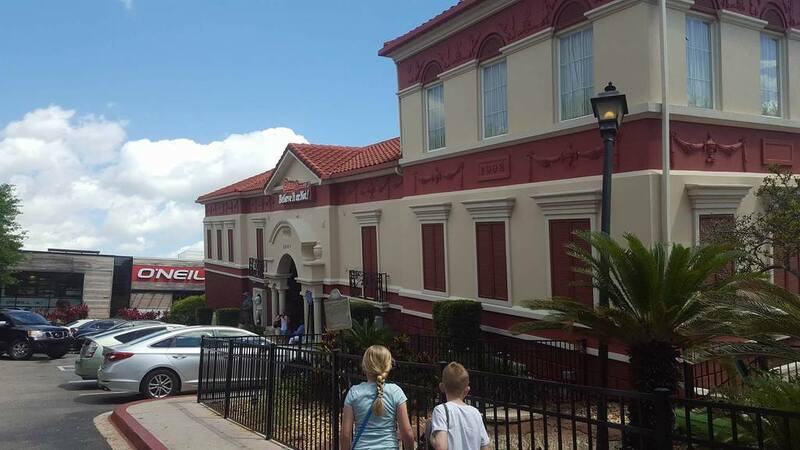 Ripley's Believe it Not, is actually a really hard review to write, as there are so many surprises along the way in this attraction that I really don't want to spoil any of it for our readers. 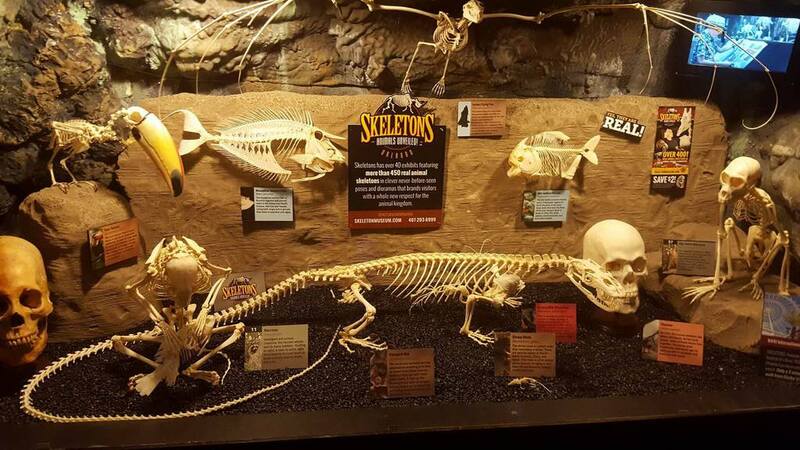 There are exhibits that make you laugh, make you shocked, cause intrigue, and quite simply some that will make you go ewwwwww! 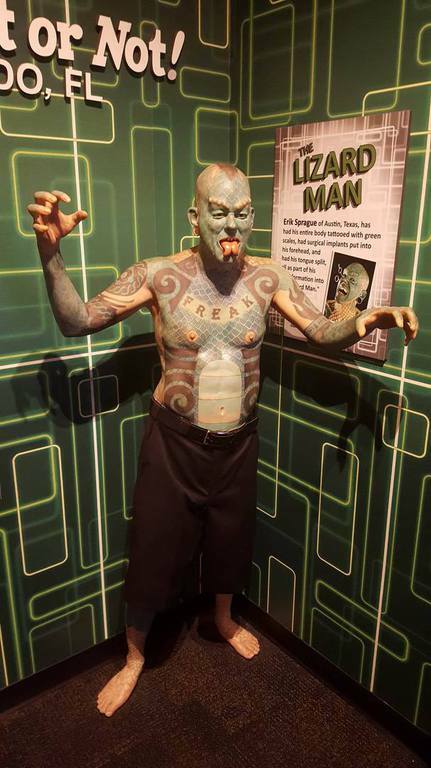 Ripley's Believe it or Not Orlando, is located on International Drive and features a huge 600 exhibits and artefacts ranging from the weird to wonderful. It is open 365 days a year from 9am up until midnight everyday with the last admission being 11pm. 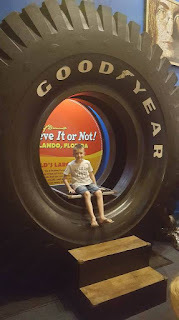 Tickets are very reasonably priced for an Orlando attraction costing $19.99 + tax for adults and $12.99 + tax for children. Children under 3 can visit for free, and if you book online you can also benefit from a discount of $3 per adult and $2 per child. This attraction also offers free parking which is an added bonus. On arrival, the lady on reception was very welcoming. We quickly sorted out our tickets, and then she explained how we could connect to the wifi, and informed us that we were welcome to take pictures and videos throughout the attraction. 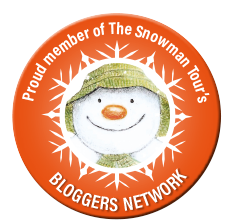 She also asked whether we would like to purchase a guidebook, which we did, as it was reasonably priced at only $2 and nice for the kids to have a souvenir of our visit. The attraction was busy but very easy to get around. 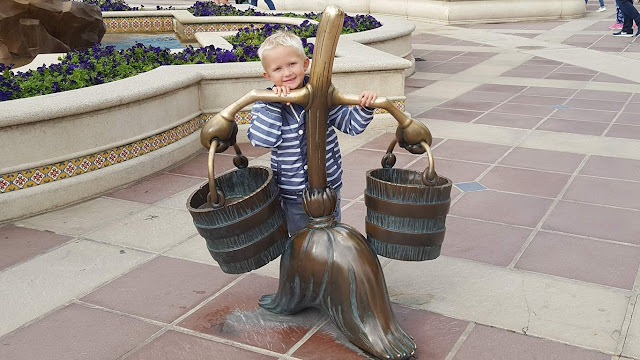 We had a stroller with us which made it slightly difficult to navigate around some areas but this was just due to the number of other visitors in the attraction, however if your child is happy to walk, then you can leave strollers by the entrance and collect them again at the end, which is what we should have done. 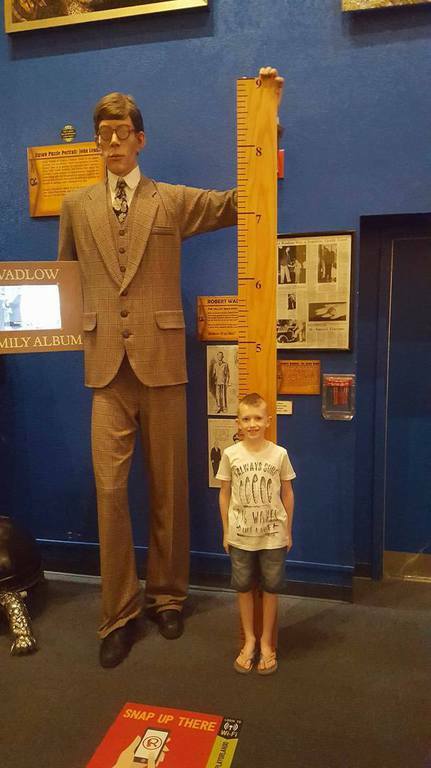 There are numerous photo opportunities around the attraction as well as several hands on interactive exhibits and my children really enjoyed seeing all the many wonderful and sometimes extremely confusing artefacts and displays. One particular area that still has me confused is a snooker table exhibit. The snooker table is situated on an angle on an unlevel floor, in a crooked room, however if you roll a ball on the snooker table the ball does not roll back down and instead will continue to roll to the top of the table seeming to completely defy the laws of gravity. The Odditorium is quite suitably named as it really does feature some of the most oddest things. One of the first exhibits we saw was a large potrait of Beyonce, not so odd you may think, apart from the fact that it was made entirely from sweets! 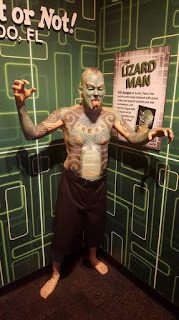 The exhibits got even stranger as we continued our way around, and there were definitely some very bizarre sights. 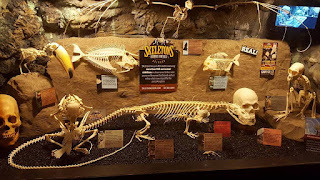 The exhibits really have to be seen to be believed and so if you are looking for something fun to do to fill a bit of time whilst in Orlando then this is definitely a good place to visit. It is important to note that this isn't a full day activity though, and we finished it in about 2 hours going at a slow speed. We found this really enjoyable however as it meant that we managed to visit several different attractions all in one day and there are plenty of places to visit along International Drive. It would also be a great rainy day activity or something to do if you fancy avoiding the sunshine for a couple of hours. Having never visited a Ripley's Odditorium before, I wasn't entirely sure what to expect, but overall we really enjoyed it and had a good laugh and a lot of fun along the way.